OPINION: How to recover and archive hidden flickr photos if you are not a pro user? How to recover and archive hidden flickr photos if you are not a pro user? Flickr is unarguably most popular photo site in the world. I have been using it from 2003 but unfortunately I could never change my subscription to paid 'Pro' status due to economical constraints. Successive to the Yahoo take over, Flickr has changed it's policy for free users by limiting the number of photos to 200. This means that though you can very well upload 20 MB each month for any long period, only last 200 photos are accessible through flickr site. in order to recover your older, hidden photos. If you are a huge flickr fan and have similar difficulties in accessing older photos just because you have not switched to pro subscription, this simple trick might help you. I am not sure any of the leading hack-sites like Life Hacker have published similar description. First of all, go to Flickrleach or Flickrgrab (that site looks like a mirror of Flickrleech). 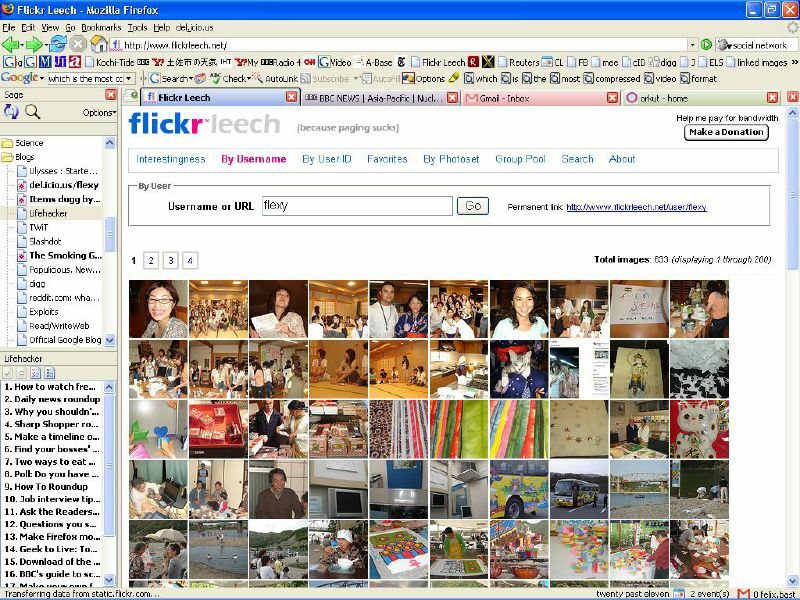 Select 'By Username' if you have been using flickr before yahoo takeover. Or else select 'By User ID'. Type your User name (old users) or User ID (Yahoo ID won't work. You have to copy-paste the URL address of your flickr page). Now click 'Go'. Now that you can see all of your photos no matter when you have uploaded, as shown in the photo below Permalink is here. Now, select all photos by mouse. Be aware if you are a heavy flickr user, you will have thousands of photos and flickr leach too will have many pages (each page having 200 photos). Now, drop these photos to your html editor like MS Frontpage or Dreamweaver, as shown below (in this case, MS Frontpage). Now publish it if you like (have a look at my photostream), or just keep it by yourself as a secure archive of your whole flickr photos! This method has only one draw-back. 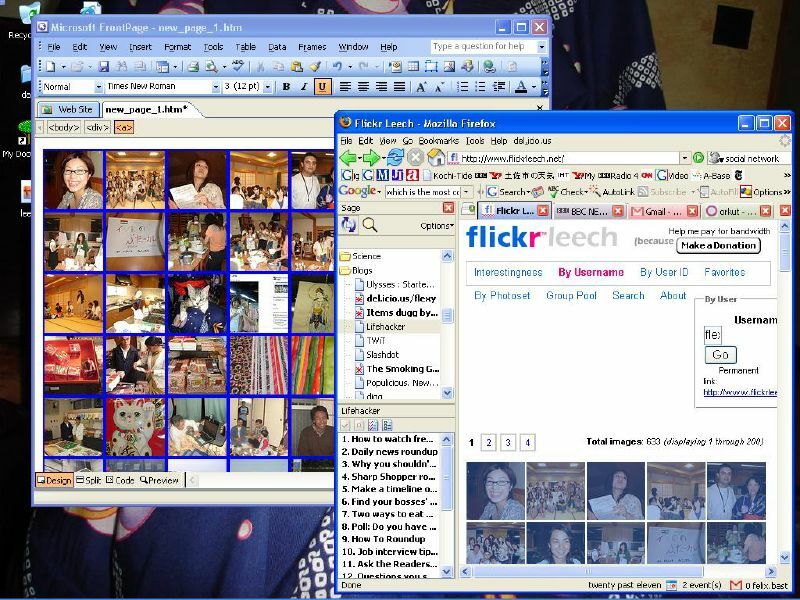 If you have some hidden photos in flickr that you would like to archive, flickrleach cant help to grab them. Any out sights on this issue are welcome. PS: Some one might think why you need to do all these, depending flickrleach would be just simple to see your hidden photos. But no one knows when yahoo/flickr is going to change it's API policies such that flickr leach can no longer grab them. But yahoo cant change the URL address of your old photos or delete them, by breaching their promise gave to us years ago. Lately I give a try at google's picasaweb and I found it impressive. Total upload limit for free users is currently 1GB and that obviously matters, but ability to make as many albums as you want is a plus point (in flickr, albums or so called 'sets' are limited only up to 3 for free users). hey felix, this is a great trick. This worked for me to recover some 400 of my hidden photos. thanks for sharing!! cheers. Please help me, I just cannot do it like the way you did. 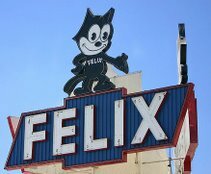 The FlickrLeech only showed 200 photos of mine.